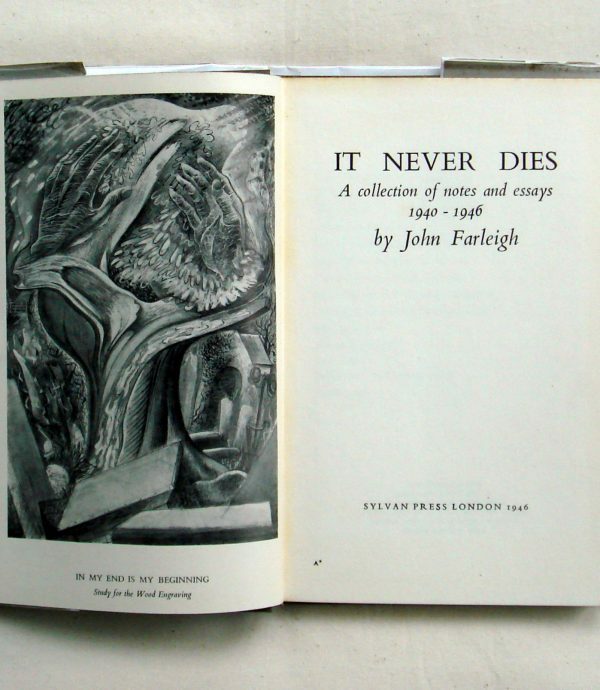 A Collection of Notes and Essays, 1940-1946, by John Farleigh. First edition. 8.75 x 5.5 ins. 97 pp. Grey cloth with red spine titling and artist’s device in red on upper cover. Includes lectures on paintings, textile designing, craftmanship, book production and other kindred subjects. Illustrated with 11 wood engravings, 14 line drawings and 9 half-tones. Very good + in very good dust-jact with two short tears and chipping.